If you need some cash but have trouble getting a loan because of bad credit, trust me you are not alone. Each day, hundreds of people or even thousands of people turn to the internet to search for immediate credit solutions specifically for those with bad credit history. I was once one of those people, and I have never been so grateful to find payday loans to save my day! But before we get any further, you need to ask yourself first: “Will be able to afford and pay back the loan on time and in full?” If the answer is yes, then read on. A bad credit payday loan is a short-term form of credit specifically designed for small but urgent financial requirements. These loan products are one of the few financial products available to folks with bad credit history. It is crucial though that you always borrow within your capacity and make repayments on time. Bad credit payday loans have higher interest rates compared to regular loans to mitigate the lender’s risks. Of course, interest rates of bad credit payday loans will vary from lender to lender. According to the FCA, the charges and fees must not exceed £24 per month per £100 loaned amount. A borrower should not pay twice more the original loan amount. It is important to note though that not everyone who applies for a bad credit loan will get approval. Payday loans can help people when other lenders may have turned them down because of their bad credit history. However, payday loan applications also go through an assessment and there are criteria to meet. You can find these loans from specialist lenders who look at more than just the credit history. How did I get bad credit? Bad Credit is normally used to describe an individual’s flawed financial history. These individuals may have failed to pay their credit obligations such as a credit card, utility bills or loan in a timely manner. It may also result from having no credit history. Essentially, if you have a bad credit score, you’ll find it difficult to get credit because you are considered a risk. If you are a borrower with bad credit and you cannot find help elsewhere, payday loans are available to your rescue. The application process is non-intrusive and only a few personal details are needed from you. You don’t have to reveal much detail about why you need the money. You can also complete your application online. A payday loan is an unsecured type of loan product, so you don’t worry about losing your property or any asset if you cannot pay them off in time. You’ll only be subject to further charges. 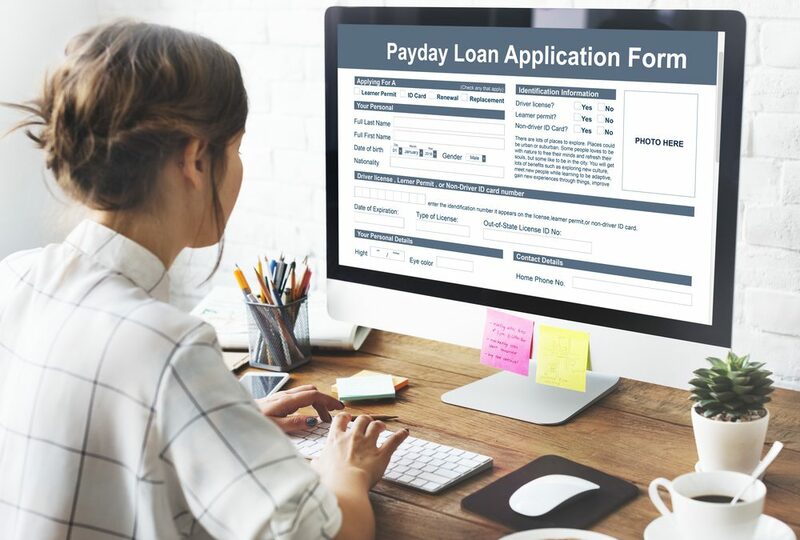 While most personal loans will have tied to loan repayments for months or years, a payday loan is guaranteed to end your loan obligation as soon as the next payday as long as you pay on time. Since a payday loan is basically for those who only need a small amount of cash, you should not need to borrow more than you need, and they’re easy to pay. 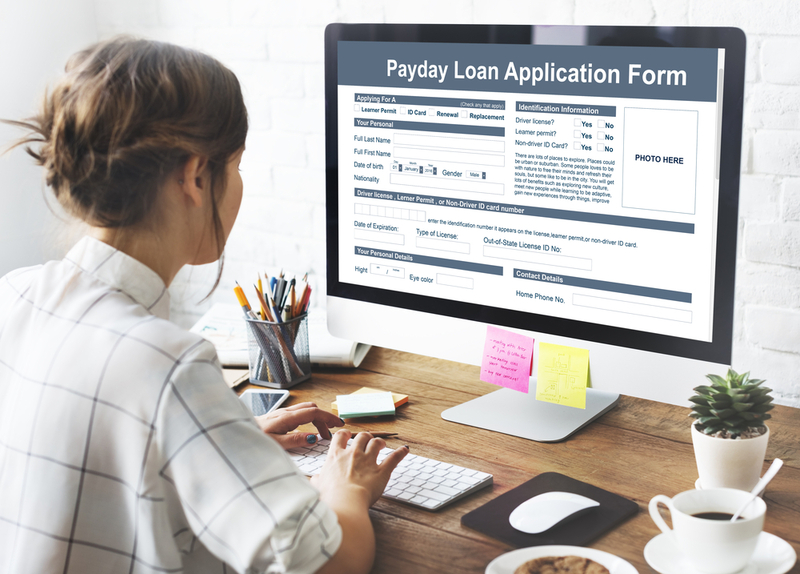 With the idea that payday loans are available for people who applied for a loan elsewhere but were eventually rejected, this makes this loan product tempting to obtain for non-emergency situations. Payday loans should be taken as emergency funds only. Apply for this type of loan only when you know how you’ll pay the money back. It is not right to treat payday loans as a quick and easy alternative to long-term personal loans. Payday loans technically have a higher APR compared to other loan products. But don’t worry as loan products are regulated and have price caps and restrictions in place so that consumers will be protected. From its name, “payday loan,” it simply pertains you need to pay it back when your next paycheck comes. This means you will not have enough time to repay what you borrowed. Most payday loans are over two to four weeks, but many lenders today offer terms up to six months. Affordability is the key to get a bad credit payday loan. Getting your payday loan application approved also depends on your personal circumstances. The basic criteria include full employment, must be over 18 years old, and a UK resident. For your income, you will need to take home more than £500. Any provider of bad credit finance will look at your earnings and subtracts all your expenses, which include rent or mortgage, utilities, transport, food, credit expenses, and any other recurring expense. The remaining balance must be enough for you to be able to repay your loan. If I try to obtain a bad credit loan, will this negatively affect my credit rating? Each time you apply for a loan, whether it is approved or rejected, it can positively or negatively impact your credit score. If you currently have bad credit, further hard credit checks can worsen your situation, as multiple marks on your credit file could mean that you are in dire need of financial aid which can be a red flag to lenders. Keep in mind that if you make several loan applications at the same time, it can negatively impact your credit file. As for any type of loan, affordability is of great importance. Financial Conduct Authority (FCA) has strict regulations for lenders across the country. A payday loan provider must lend responsibly and only to those who can really afford to make the repayments of the loan. Always remember that you must always borrow within your means, so you won’t have trouble making the repayments. Bear in mind that payday loans are for emergencies only. Being approved for a loan with bad credit is already a good thing. Take advantage of this and use it to rebuild your credit record. You must be able to repay your loan obligations on time. This will help you avoid piling up a continuous debt cycle, and your credit score will improve. You can get a better loan deal if you have a better credit score as well. Is It Possible to Get a Guarantor Loan with No Credit Check?